Secretary of State Hillary Rodham Clinton on Tuesday signaled a shift in U.S. dealings with China, with the State Department poised to take charge after the Treasury Department’s leading role during the Bush administration’s final years. She avoided specifics, but issues affecting Sino-U.S. relations traditionally have included human rights, technology transfers, Taiwan, military exchanges and efforts to slow nuclear proliferation and halt fighting in Sudan’s Darfur region. The American people gave Barack Obama a mandate to solve the problem. And the problem is clearly jobs and the economy, a new Pew Research Poll says. After the economy and jobs, American interest in other more mundane things like global warming, the war against terror and international relations and foreign policy barely makes the poll needle move. But every nation outside the U.S. is looking to every word and action from President Obama to help them decipher the new direction of the U.S. and much of the world. Each New Year in the U.S., dozens of newspapers list what is “out” from the old year and “in” for the New Year. As the Asian or Lunar New Year is upon us, every nation in the world might feel the need to assess what is “in” or “out” since the President Obama tenure commenced. Treasury Secretary nominee Timothy F. Geithner’s remarks about China in his Senate confirmation hearings already sent a shock wave through China. And China does not see Hillary Clinton as a friend. Russia’s President Dmitry Medvedev says Moscow is ready to help U.S. efforts in Afghanistan by allowing the Americans to ship cargo intended for coalition forces across Russian territory. But Medvedev and Putin in Russia are loathe to accept U.S. missile defenses in Poland and the Czech Republic and fear other U.S. meddlesome activity in Georgia and elsewhere. Pakistan is worried that the flow of American money may dry up, as former President Musharraf of Pakistan seemed to indicate when interviewed by Wolf Blitzer on CNN. But Pakistan is pleased there will be a new U.S. envoy to the region: Richard Holbrooke. Iran and several “brothers against Zionism” in Hamas, Hezbollah, and among Palestinians and others seem emboldened by President Obama’s promise of a new way forward in the Middle East, stronger diplomatic efforts to resolve all difficulties, and the appointment of George Mitchell as special envoy. But naturally, this makes for some concern in Tel Aviv, Cairo and other capitals. Many in Africa and in the human rights arena are delighted to see Barack Obama as President of the United States but also express some longing for President Bush’s work to fight AIDS and the abuse and neglect of refugees. Will President Obama do more in Somalia or Darfur? In Mexico: indiscriminate kidnappings. Nearly daily beheadings. Gangs that mock and kill government agents. But when President-elect Obama, just before his inauguration, met Mexican President Calderon, the discussion was not about drugs or immigration. The media was told Obama praised Calderon for his work on global warming and energy. But neither a bad environment nor energy problems are as likely to bring Mexico to its knees — and impact negatively on the United States — as the drug war, according to the U.S. military. Poll: Economy, Jobs Top Americans’ Priorities (Global Warming Last); Obama Solutions? 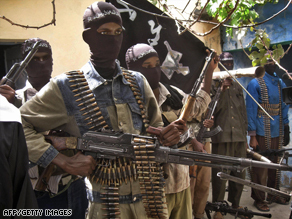 Islamist insurgents display their weaponry in Mogadishu during a parade in mid-January. We know a lot more about Barack Obama than we did on Election Day. He wastes little time making big decisions. He was serious about surrounding himself with seasoned people, even if they are outsized personalities likely to jostle one another and unlikely to salute on command. He intends to move quickly to put his personal stamp on government and national life. Yet much about how the 44th president will govern remains a mystery—perhaps even to Obama himself. The stirring rhetoric witnessed on the campaign trail and in Tuesday’s inaugural address is laced with spacious language — flexible enough to support conflicting conclusions about what he really believes. Only decisions, not words, can clarify what Obama stands for. Those are coming soon enough. DOES HE REALLY THINK AFGHANISTAN IS WINNABLE? The new president has strongly signaled that he thinks the answer is yes. But neither his rhetoric nor his policy proposals so far have fully reckoned with the implications…. Does Obama Really Believe in Transparency? What a long, strange trip Barack Obama’s first full day as president turned out to be. He began the day pushing for more transparency in government, only to end it by keeping TV cameras out when Chief Justice John Roberts re-administered the oath of the presidency. Pope Benedict XVI has called for peace in the Middle East and stability in Africa in his Christmas Day message. Speaking from the Vatican, the Pope prayed for the opponents of the “twisted logic of conflict and violence” to prevail in the Holy Land. The Pope decried instability in the Democratic Republic of Congo (DRC), Sudan and Somalia, and lamented the plight of ordinary Zimbabweans. He also called for solidarity in the face of an ever more uncertain future. Pope Benedict XVI in his Christmas message Thursday warned that the world was headed toward ruin if selfishness prevails over solidarity during tough economic times for both rich and poor nations. The traditional papal Christmas Day message “Urbi et Orbi” — Latin for “to the City and to the World” — usually covers the globe’s hot spots, but this year Benedict also addressed the gloomy economic conditions worrying many across the planet. Amid near daily news of layoffs, failing companies and people losing homes they can no longer afford in many parts of the world, Benedict’s words seemed tailored in part to the global economic crisis. America needs to reboot and re-invent itself. Internationally, Israel wants a smackdown on Iran. Medvedev and Putin want U.S. Missile Defense out of Europe. And others are lining up too. Americans want prosperity and jobs. GM and Chryler want all the auto bailout they can get and the UAW wants a raise. 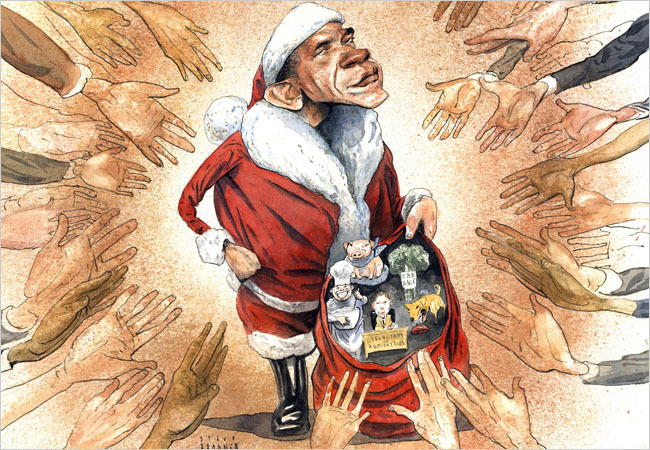 President-elect Obama, blissfully in the Hawaiian nirvana as we write, faces a long line of seekers looking for goodies this Christmas and next year. We’ve indulged ourselves for too long with tax cuts that we can’t afford, bailouts of auto companies that have become giant wealth-destruction machines, energy prices that do not encourage investment in 21st-century renewable power systems or efficient cars, public schools with no national standards to prevent illiterates from graduating and immigration policies that have our colleges educating the world’s best scientists and engineers and then, when these foreigners graduate, instead of stapling green cards to their diplomas, we order them to go home and start companies to compete against ours. America still has the right stuff to thrive. We still have the most creative, diverse, innovative culture and open society — in a world where the ability to imagine and generate new ideas with speed and to implement them through global collaboration is the most important competitive advantage. China may have great airports, but last week it went back to censoring The New York Times and other Western news sites. Censorship restricts your people’s imaginations. That’s really, really dumb. And that’s why for all our missteps, the 21st century is still up for grabs. John Kennedy led us on a journey to discover the moon. Obama needs to lead us on a journey to rediscover, rebuild and reinvent our own backyard. Peace may not come on Christmas for many. And the days ahead may be even rougher. Israel is fed up with rocket attacks in Gaza. The U.S. Army is looking for more troops for Iraq and Afghanistan. Pirates seem to rule the Gulf of Aden. Pakistan eyes India and India glares back….and on and on…. We are today in one of the world’s most violent and unstable periods since perhaps World War II. In the past seven years the world has seen major terror attacks in the United States, Great Britain, Spain, Africa, Indonesia, Russia, Turkey, Iran, Pakistan and India, horrific genocidal slaughter in Darfur and outright war in Iraq and Afghanistan. Tens of thousands of citizens, soldiers, insurgents, men, women, children, the innocent, the guilty and the in-between have been killed, wounded, maimed, blown apart, beheaded, executed and otherwise dispatched from the land of the living. Tensions are heating to the boiling point and could explode into major war between India and Pakistan; the Kurds and Iraq/Turkey/Iran/Syria; Iran and the United States/Israel; Hezbollah and Israel; and Russia and Georgia – among others. War and rumors of war dominate our lives. Somehow the spirit of joy and happiness that normally characterizes this time of year seems strangely out of place. Far more than presents this Christmas, we are in desperate need of the gift of peace. Still more enthusiastically endorse a deepening and widening of the war in Afghanistan, perhaps even to Pakistan – whether the government in Islamabad agrees to it or not. What is consistent about all these efforts is that they posit that to achieve peace, we must employ ever greater amounts of violence and force. The result seems only to be a festering of the violence, an increase in the amount of terrorism and more antagonistic relations between nation states. The Sudanese army says it has sent more troops to the sensitive oil-rich South Kordofan state. The army told state media that it had information that a Darfur rebel group planned to attack the area. The main party in the south says the military build-up is a violation of a 2005 peace deal that ended civil war. There has been speculation in Khartoum for weeks that large numbers of Darfur rebels had crossed into Kordofan, followed by northern soldiers. Sudan’s armed forces have now confirmed the military build-up. An army spokesman said the aim was to prevent any effort by the Darfur rebel Justice and Equality Movement (Jem) to extend its activities into South Kordofan. Many observers have been concerned about the Darfur conflict spilling over into neighbouring states. The armed forces have been on alert since Jem launched an unprecedented attack on the Sudanese capital in May, taking politicians and Sudan’s security forces by surprise. The movement of northern soldiers into Kordofan has stirred tensions with the north’s power-sharing partner, the Sudan People’s Liberation Movement (SPLM), the main party in the south. An SPLM spokesman said the North’s decision to send six extra battalions to Kordofan was a violation of a peace deal signed in 2005 between the North and South ending a two-decade civil war. He said the group not been informed and was worried that the move could spark conflict with its troops on the ground. Get the Feeling Russia and China Are Slicing Up The World and the U.S. Will Be Left Out? The world is about competition. 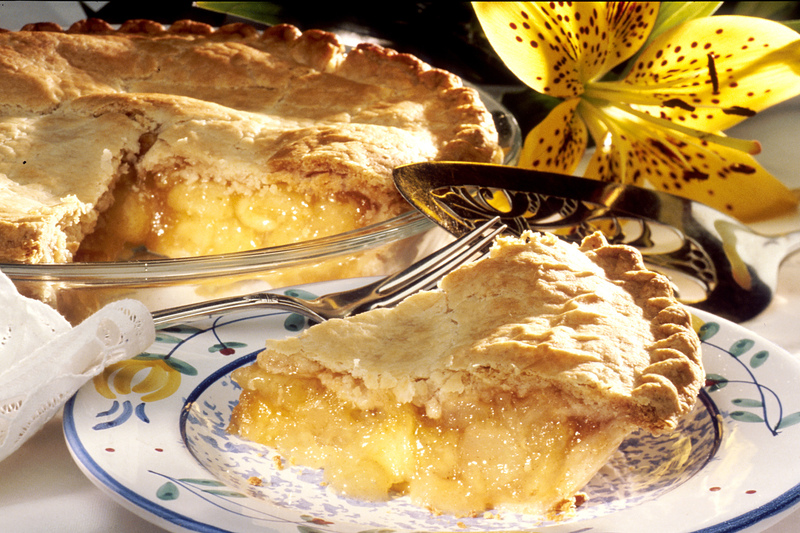 Do you get the feeling that China and Russia are slicing up the world pie? Or want to? At Peace and Freedom, we get the feeling that Russia and China are grabbing all the economic value from the world and leaving the U.S. to happily make subsidized cars in Detroit. Case in point is the current global foray of Russian President Dmitry Medvedev who is wrapping up a gigantic business trip to nations like Venezuela and India. Like it or not, where the U.S. isn’t, China and Russia thrive. Earlier this year China’s President Hu Jintao completed a multi-nation trip to Africa. Mostly, he seized opportunities to cheaply exploit raw materials desperately needed by China’s industrial dragon. President Hu even went to Sudan despite international condemnation of the genocide in Darfur. China also has recently completed the largest seaport in the world at Gwadar in Pakistan. Russia and China often work in tandem — as they do in behalf of Iran. China and russia have the lions share of the business dealing with Iran, so when the U.S. proposes sanctions on Iran’s nuclear program, China and Russia block the effort together. Human rights takes a back seat in Russian and Chinese business. And both nations have their top guy out there globally beating the bushes in favor of homeland businesses. When the U.S. was agast at human rights abuses in Myanmar, China objected and protested the junta. China wants Myanmar’s oil. 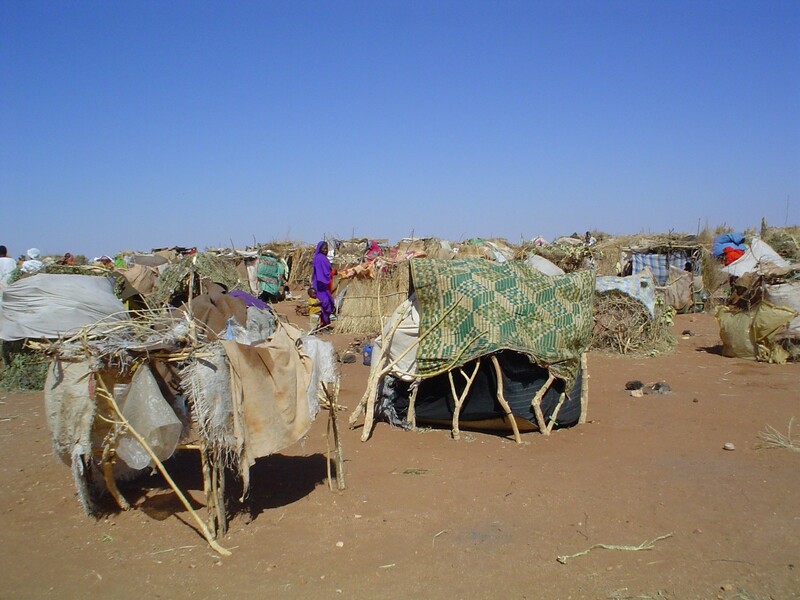 Homeless, displaced refugees in Darfur. But China still pours money into Sudan in exchange for oil…. Add this to the many challenges of Barack Obama. Sitting in the U.S. watching the United Auto Workers kill off the car industry as we gear up to produce environmentally pure “Made in the U.S.A.” windmills might be fine for some; but we’d like to add our voice to those that believe the U.S. needs to be a major global business. We need to think big. We need to redevelop the U.S. infrastructure with jobs and billions of dollars of spending. But we also need to hunt out and drag home a lot more of the global market. Wherever the U.S. is shy to go in the world: Medvedev and Hu Jintao do not fear to tread. They have been — or they plan to go. China passed Japan to become the U.S. government’s largest foreign creditor in September, the Treasury Department announced yesterday, reflecting the dramatic expansion of Beijing’s economic influence over the American economy. China’s new status — it now owns nearly $1 out of every $10 in U.S. public debt — means Washington will be increasingly forced to rely on Beijing as it seeks to raise money to cover the cost of a $700 billion bailout. China, in fact, may be the government’s largest creditor, period. The Treasury does not keep records on domestic bond holders. But analysts said China’s holdings are so vast that the existence of a larger stakeholder in the United States now seems unlikely. You are currently browsing the archives for the Darfur category.